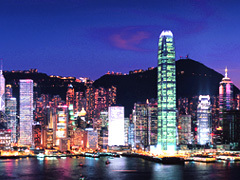 Hong Kong is one of the two special administrative regions (SARs) of the People's Republic of China (PRC), along with Macau. It is a cosmopolitan city with a population of 7 million spreads over Hong Kong Island, Kowloon Peninsula, New Territories and over 260 outlying islands. The territory is located on the eastern side of the Pearl River Delta, bordering Guangdong province in the north and facing the South China Sea in the east, west and south. 01. Accommodation in the hotels as mentioned in the itineraries (or in case the mentioned hotel is fully booked we will use an alternative in the same category). 02. Meals as mentioned in the itineraries. Lunch and dinner to be provided are standard meals, except specified in the itineraries. 03. Guidance as mentioned in each program. Guests will be travelling on ferry / train / domestic flight without the company of local guide while proceeding to the next station. 04. Domestic airfare (economy class) inclusive of tax as specified in the itinerary. 05. Admission tickets for sightseeing points which are specified in the itineraries. 06. All the prices are based on USD per pax. 01. Other than the mentioned itineraries. 02. Land arrangements in destinations, except mentioned in the itineraries. 03. National guide (a guide who will accompany the group from the first day untill the end of the tour), except mentioned in the itineraries. 05. Services during free time. 02. Non-refundable deposit of US$ 100.00 is requested once reservation is made. 03. The above cancellation policy is not applicable to blackout dates of tour specified in the itinerary. Confirmation with correction cancellation policy will be informed. 01. We reserves the right to correct at any times, or to increase the program price in the event of cost increases due to changes in airfares, train fares, cruise fares, taxes, fuel surcharges, entrance fee, etc. However, the tour fare will not be changed after confirmation is received from us even though increment is applied on land arrangements related to. 02. Children under 12 years old are charged at 90% of adult tour fare. 03. Rate are in NETT and NON-COMMISSIONABLE. 04. No reduction will be extended to triple-sharer and tour fare for twin-sharing will be applied accordingly. (An extra bed subject to availability). 05. Tour fares are subject to change and final cost will be advised if the duration of tour is overlapping 02 different seasonality according to our contract with hotels. 06. Tour guide of speaking other foreign language could be arranged upon request, which is subject to availability and supplement with be charged accordingly. 07. Flight / Train / Ferry / Cruise schedule is subject to change at the discretion of the carriers and without prior notice. Time table for flight / train / ferry / cruise are changing occasionally and only short notice will be given. 08. Date and timing of the above schedule might be changed by tour guide on spot depending on the traffic on spot. 09. If the itinerary holding by guests are different to our offer to the originated booking agents. We reserve the right to operate the tour according to our final confirmation granted to the booking agent. 10. Itineraries are subject to change without prior notice due to local conditions, transportation changes or if any unexpected circumstances (like Heavy Rain, Earthquake, War or Natural Disaster). We reserve the right to re-arrange, cancel or replace the elements of the itinerary. We are not responsible for any loss if tour itinerary / timing of transportation changed in response to unforeseen circumstances. 11. Pleased to remind to check the remarks specified in respective tour programs individually. 01. Itineraries based on what we proposed, if any different from what agent given to clients, TourAsia reserve the right to run the Itinerary which we based. 02. As every countires are changing rapidly and growing fast in tourism industry, we are doing our best to review frequently on sightseeing points, hotels and restaurants, etc which are included in our programs. 03. In order to avoid travellers getting disappointed with their visit, please find supplementary information which could keep you informed in advance.